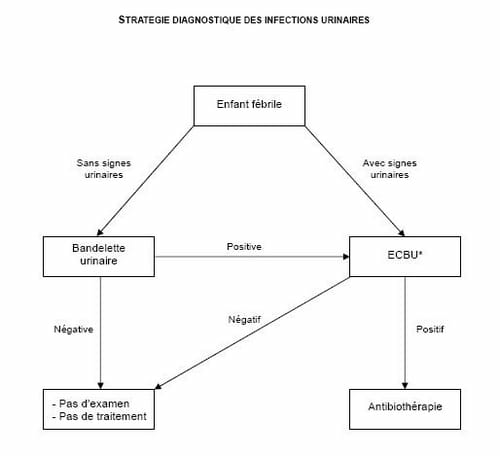 In February 2007, the French Agency of sanitary security and health products (Afssaps) published recommendations to help doctors diagnose and treat with antibiotics urinary infections of bacterial origin in infant and children. Being frequent, these infections create renal scabs which can, in the long run, cause an arterial hypertension and a nephronic reduction. Moreover, resistance to antibiotics is increasing, making the choice of antibiotics complicated and limited. Appearance of renal cicatrices, later on. Acute cystitis is a benign disorder, without severity. Afssaps notes that "recurrent cystitis in little girls are defined by at least 3 episodes per annum". 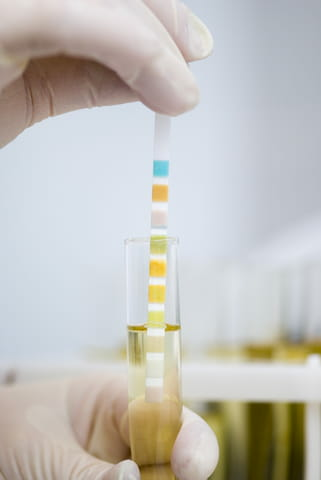 Bacterial urinary infection, it can be the cause of renal lesions. Deterioration of the general state. For the ECBU, to avoid the contamination, the sampling of urines in the middle of the jet (per-urination) is to be recommended. A resistance of 20% to co-trimoxazole. Or cefixime 8 mg/kg/d in 2 daily dosing (if resistance, intolerance or contraindication to co-trimoxazole". Afssaps precises: " The duration of treatment from 3 to 5 days is recommended for the enfant. The cytobacteriologic examination of control of urines (ECBU) is useless". The treatment advised by Afssaps lasts between 10 and 14 days and includes attack treatment via injectable routes, then a relay of oral treatment. For children less than 3 months or "presenting clinical signs of severe infection", hospitalisation is recommended. In association with amoxicilline (100 mg/kg/d in 3-4 injections) in the event of infection with Enterococcus. Fluoroquinolones (for the pubescent adolescent). It is recommended to carry out a clinical examination, 48-72 hours after the beginning of treatment. For the repeating IU, you can consult the recommendations pp. 8-9 du document. Diagnosis and antibiotherapy of the Community bacterial urinary infections of the infant and the child, Afssaps, February, 2007. Latest update on April 11, 2010 at 09:16 PM by owliance.en_ctrl_002. This document, titled "Infant and child bacterial Urinary Tract Infections: advice ," is available under the Creative Commons license. Any copy, reuse, or modification of the content should be sufficiently credited to CCM Health (health.ccm.net).